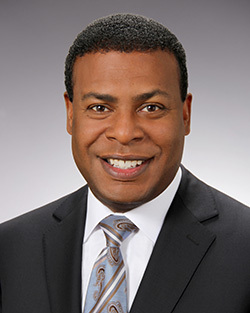 Norfolk Mayor Kenny Alexander will be the keynote speaker for Tidewater Community College’s 63rd Commencement Exercises on Dec. 19 at 6 p.m. at Old Dominion University’s Ted Constant Convocation Center. More than 2,000 TCC students are receiving associate degrees and certificates. The event will be streamed live at www.tcc.edu/commencement. Alexander, a native of Norfolk and the city’s first African-American mayor, was elected on May 3 after two decades of public service. He served in the Senate of Virginia from 2012 to 2016, where he was a member of the committees on Commerce and Labor, Finance, Transportation, and Privileges and Elections. Prior to his election to the Senate, he served in the House of Delegates from 2002 to 2012, representing the 89th District. Alexander is currently a member of the Hampton Roads Transportation Accountability Commission, Hampton Roads Military and Federal Facilities Alliance and the Greater Norfolk Corporation. Alexander, who took classes in mortuary science at John Tyler Community College in Chester, holds a bachelor’s in political science from Old Dominion University and a master’s in diplomacy from Norwich University. He is working toward his doctorate in leadership and change through Antioch University. Alexander is a 1985 graduate of Lake Taylor High School. He remains president of Metropolitan Funeral Service. He and his wife, Donna, have two school-aged children, Kenneth II and David. Stephanie Lawrence of Portsmouth will be the student speaker. She will graduate with an Associate of Science in General Studies with plans to concurrently pursue her Associate of Applied Science in Nursing at TCC and bachelor of science in nursing from ODU.